Let me begin by saying I am a total Disney fanatic! From the first time my mother took my brother and I to just a few months ago when my husband and I took our own children. Disney is a dream. It is a place to cast your worries aside , laugh until it hurts and eat like there is no such thing as calories. Its is truly the happiest place on earth! There are activities for every age, every body and every interest. There are thrilling rides, dazzling shows, fabulous restaurants and the list goes on! The one downside to all the magic….the cost. Disney World can be quite expensive, but that’s OK! There are a multitude of ways that you can save money and give your family the most amazing vacation on earth! In this blog post I am going to break down every money saving tip that my family has utilized over the years. Some are simple things that Disney, themselves do to help while others are little known secrets! So, lets get to it, shall we?! Disney’s ticket prices increase throughout the year due to popularity. Those increases happen around Holidays and Summer (when kids are out of school). Planning your trip during the off-season can save you hundreds on park tickets, not to mention discounted room rates and meal plans! The off periods are between January – Mid February, September – Mid December (excluding Thanksgiving, Columbus Day and Veteran’s Day weekends) and weekday stays (think Monday-Thursday). If you have been planning a Disney trip for awhile, I bet you have comprised a list of must try restaurants to eat at! Plus, you can’t forget all those fabulous snacks around the park! Dole Whip, Pretzels, Ice Cream Sandwiches…oh the list goes on! Disney offers a very special tool in their Disney Dining Calculator, where you can punch in number of guests, restaurants you plan to eat at and when, how many snacks per day, etc and get an estimated cost for food. You can then take that calculation and compare it to available Disney Dining Plans to see how you can save the most money! Some families claim hundreds of dollars worth of savings going with a meal plan (which typically offers you 1-2 snacks, 1 quick service and 1 sit down meal per person per day) and others find they are better off paying out of pocket. Coscto – 3%-7% based on Gift Card Amount with membership. Let your everyday purchases help pay for your stay! Get a $200 credit after spending $500 in the first 3 months, plus earn 2% back at gas stations, grocery stores, restaurants and most Disney locations and 1% everywhere else! The Chase Visa also gets you extra park perks and special vacation financing (like 0% interest!). You also get 10% off dining and shopping in the parks! Most customer’s receive $30 per month in Disney Dollars! 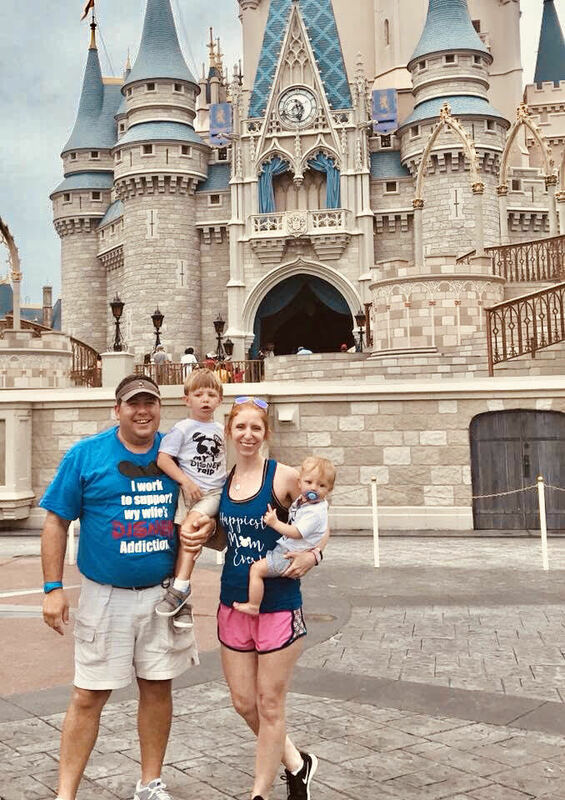 If you are planning a trip to Disney World, I imagine you are already quite a Disney Fan! Do you purchase Disney DVDs? Do you go see new Disney Movies in theaters? Did you buy yourself…erm, your daughter… the Frozen soundtrack? Did you know that you can earn rewards for doing all of those things?! Join Disney Movie Rewards and you can convert all that into Disney Gift Cards! And like I mentioned above, all of that can be used to pay for your trip! Inside each Disney DVD/Blue Ray and Soundtrack there is a special code. Login to Disney Movie Rewards and input those codes for points! You can earn points from Disney Movies in theaters by scanning your movie ticket or purchasing them through a Fandango account linked to Disney Movie Rewards! There are also plenty of ways to earn bonus points, like fun Disney Trivia! Earn points even faster (and build that epic Disney Movie Collection) by signing up for the Disney Movie Club. When you sign up, you get your first 4 DVDs for only $1! After that, being a member of the club requires you to purchase 4 DVDs over the next 2 years. Yep, that’s it! When you purchase more than one movie at one time, you get an additional 40% off! And every DVD rakes you in more of those glorious Disney Movie Rewards points! Win Win! 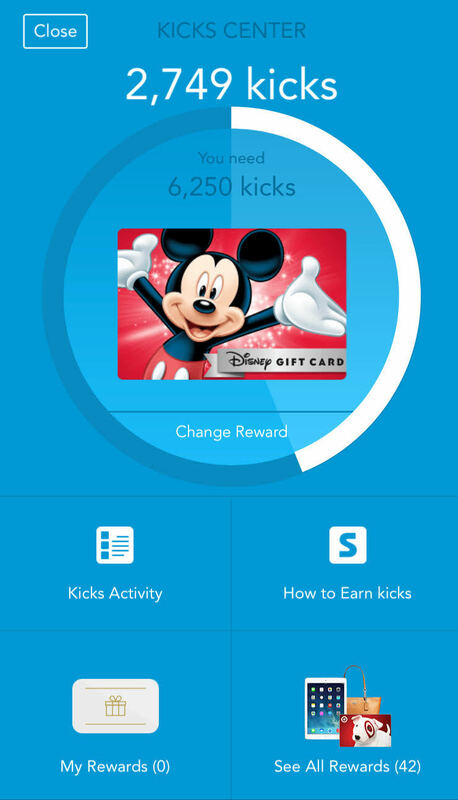 Shopkick is a crazy easy (and fun) app you can use when shopping to get points that can be cashed out for Disney Gift Cards! You earn points from walking into stores, scanning items with your smartphone, purchasing eligible items, shopping online and watching videos! The way I earn most of my points is through “walk-in”. I simply open the app as i’m walking into my regular grocery store and BOOM! Points! When I have extra time, I also love scanning items. Simply locate eligible items in the store and scan the barcode with your phone. You get your points instantly. If you purchase an eligible item, scan your receipt for even more points. It can rack up so quickly, y’all! Every day, they have short video clips in the app as well that can earn you instant points. You can see your progress towards the Disney Gift Card right on your screen! I really do love this app. You can sign up HERE. I heard about Swagbucks only recently as a way to save money for Disney World. I signed up right after our last trip at the end of June and here we are in mid October and I have already made over $650, so I would say its definitely working! You earn “swagbucks” by taking surveys, completing offers, watching videos, playing games, searching the internet and shopping online! There is a huge community around using Swagbucks to save money for Disney, so there is help at every turn! Sign up for Swagbucks NOW then head over to Facebook and join the group “Swagging your way to Disney”. Swagbucks is seriously an amazing way to gain money for your Disney trip. I cash out my Swagbucks to Paypal then deposit into my savings account to earn interest until i’m ready to purchase those discounted gift cards! I hope these tips help you to kick your Disney savings into high gear and make planning your special trip a little less stressful. If you have any questions or comments, you can post those below or click the Contact Me link at the top of the page! Please note: I do not have a paid sponsorship with any of the companies listed above, but if you do use the links provided I may receive points that I can use towards my next Disney vacation. Because Disney is life, right? !